It is always difficult to say goodbye to one that you love. But surrounded by the caring environment in which they have lived their life can make things a little easier. With our in-home peaceful pet euthanasia for Brighton BN we make sure to provide a gentle and loving send-off which ensures a dignified and respectful goodbye to your loved companion. Pet euthanasia usually involves the quiet sedation for your pet, with the tiny pinprick of the sedative being the only thing they feel. Afterward, they are asleep and will not notice themselves gently drifting away. We can then, if you would like us to, take them away to their final resting place when we leave. Our pet chapel of rest is just as you would imagine, providing you with a peaceful place to say one final goodbye should you wish to. Putting a dog down can be one of the most stressful and heart-rending decisions you have to make. It's the reason we prefer to take care of everything within your own home - and the reason we'll always take the time to talk to you first. At this time, questions about the cost of putting a dog to sleep are likely the furthest from your mind. But if you need to know more about dog euthanasia costs, please don't hesitate to ask your in-home vet. Choices about putting a cat to sleep can be incredibly hard decisions. That's why we want to make sure you always have the support you need. If you have any questions about the pain-free process which we use, about cat euthanasia costs, or about anything else, please do contact us. Animals often show different signs of pain than humans do. For example, if your cat is making loud squealing noises it can, in fact, be a sign that they're going deaf rather than suffering from pain. Instead, when in pain a cat will try to remain as quiet as possible so as not to attract "predators." 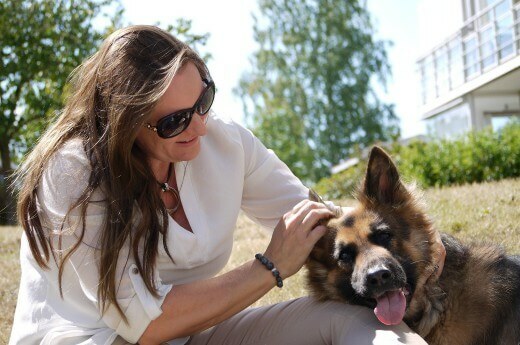 That's why we provide our friendly consultations for pet pain relief in Brighton BN, the consultation may be particularly useful after your pet has been diagnosed with a terminal or life-threatening condition. 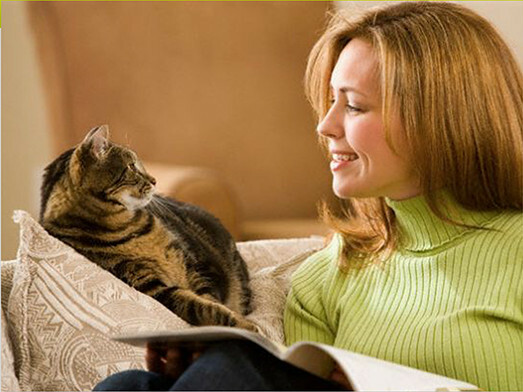 One of our friendly and caring vets will come to you and visit your home and your pet in their own environment. There is no need for them to go through the potentially stressful trip down to the clinic. And afterward, you'll have the information you need to keep getting the pet pain relief that's right for them and their condition. For many ailing pets, whether it's age, illness or both that's affecting them, knowing that they're not suffering needlessly is the most important thing. This can often be difficult to determine, which is why we always meet with you and your pet first to advise you on the right pain relief for dogs and the correct pain relief for cats. Organising a cremation after your loving pet has passed can be a stressful thing to have to do. That is why we can simply include the option of pet cremation in our Brighton BN chapel of rest as part of the care we provide for your pet's final days. You can, of course, arrange a visit to the chapel yourself so that you can view the serene environment. The chapel also has attractive and peaceful grounds for you to scatter your pet's ashes should you not have a specific place in mind. After the sad passing of your much-loved pet, deciding what to do next can be a little too much to handle all at once. That's why, whether we've helped them in their final days or not, we'll be glad to provide safe and gentle animal cremation at our fully accredited facility. We take care of dog cremation and cat cremation in the most respectful way possible, and you can choose to have the ashes returned to you. If you have any concerns about pet cremation costs or the process itself, we'll always be glad to chat about them with you at any time. Remembering your pet and everything they meant to you can be a cause for deep sadness or quiet reflection, celebrating their life rather than grieving their passing. We provide everything you need for creating loving pet memorials in Brighton BN. For the start, tasteful urns and other containers for their ashes, so you can transport them safely to the location you wish to spread them, or keep them in remembrance. In addition, we provide pet memorials in the form of stones and many other markers - a perfect way for marking a grave or other place you've laid them to rest. We are on the phone, ready to help you 24/7.